ALPENA, Mich. — Two students have been named National Merit Scholarship Finalists. The seniors were selected from a pool of $16-thousand semifinalists across the country. 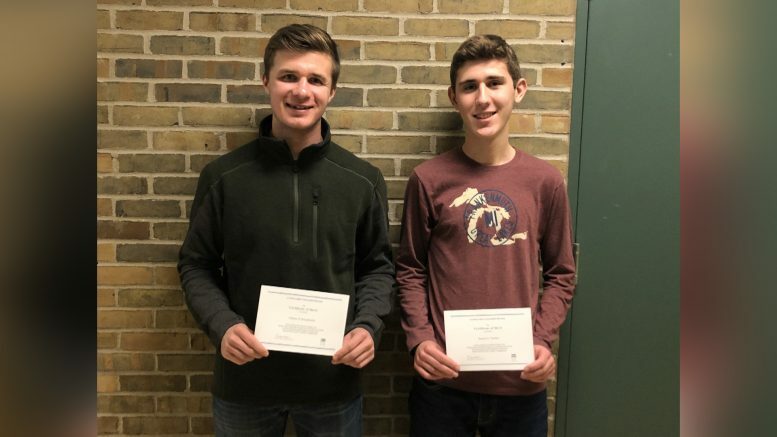 Alpena High School seniors Clayton Donajkowski and Samuel Tuscher will continue in the competition to win thousands of merit scholarships worth more than $31-million dollars. Schools have to submit detailed academic records and achievements in order for students to become finalists. The 64th annual National Merit Scholarship winner of 2019 will be announced this spring. Principal Tom Berriman says he couldn’t be happier for his students.